Saturday July 7, 2018 at 7:44 a.m.
A 4K supporting both Georgia 4-H and Oconee Co. 4-H will be held at the Oconee County Extension Office near Watkinsville. The 4K is part of the 12 Days of Christmas in July package . It is a Clover Glove, Black Bag and Run & See Georgia race. Location and Registration: Race Day registration begins at 6:44 a.m. at 1450 Government Station Road, Watkinsville GA (Phil Campbell Station across from entrance to University of North GA.) The race will be on pavement inside the station property. $20 preregistration postmarked no later than June 23. $25 after 6/23 and on race day. Contact: boryles@gmail.com or rkeel@mindspring.com. Note this race is also included in package of races for 12 Days. Use this registration if you are registering for this race only. 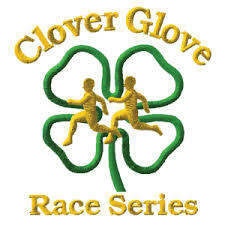 See 12 Days Race at http://www.cloverglove.com for more details on the 12 Days of Christmas race package. Awards: Awards will be presented to top three runners in each age group. T Shirts: Provided to all runners preregistered by 6/23/18 and as long as available on race day.